More evidence 'Herbalife (HLF)' is a cultic racket. How much more evidence is needed that 'Herbalife' is the corporate front for an unlawful enterprise and part of an ongoing criminogenic phenomenon of historic significance? Robert FitzPatrick Explains the Big 'Herbalife (HLF)' Lie. The FTC must stop Herbalife from systematically deceiving and harming. The FTC is inhibited by its view that "MLM" is presumed legal, even though MLM is legally undefined, unmonitored, unregulated. The FTC's "retail-based" definition of "legal" MLMs conflicts with reality and the DSA. A DSA-backed bill in Congress would end the "retail" criterion. A new, stronger FTC approach is needed. FTC should recognize Herbalife's primary deception in its practice of linking participants' personal purchases to their recruiting-based rewards. This is the classic Spanish Prisoner trick, also called the Nigerian Scam. The FTC should ban all connections in Herbalife's pay plan between personal purchases and potential recruiting-based rewards. This includes banning personal purchases from being added to "group volume" quotas. Herbalife's explanation of participant purchasing is as fantastical as the Nigerian scam stories. There is no legitimate basis for personal purchase quotas. Territories are unprotected, markets diluted, wholesale buying encouraged. From Wikipedia: The Spanish Prisoner is a confidence trick originating in the late 16th century. In its original form, the confidence trickster tells his victim that he is (or is in correspondence with) a wealthy person of high estate who has been imprisoned in Spain … The confidence trickster offers to let the (victim) put up some of the funds, with a promise of a greater pecuniary reward… Modern variants include the advance-fee scam, in particular theNigerian money transfer scam. In the Nigerian variation, a self-proclaimed relative of a deposed African dictator offers to transfer millions of ill-gotten dollars into the bank account of the victim in return for small initial payments to cover other expenses. Now that it is a foregone conclusion - according to Herbalife's (NYSE:HLF) own pronouncements - that the FTC has indeed found something rotten in HLF, the sound and fury of absolute denial is subsiding. Reasoned proposals for restitution and remedy finally can be considered. The FTC has been presented evidence of a wide array of wrongdoing, including a fake "business opportunity", misleading "disclosures", phony "education degrees" (as in Trump University), a bogus "sales leads" scam, recruiting centers posing as "nutrition clubs", and the documentation of nearly 100% loss rates among the millions that join at the bottom of the Herbalife "marketing" chain. Yet, history has shown that in the bizarro realm of "multi-level marketing", remedial measures aimed at any specific practices and which require voluntary compliance or government monitoring don't work. Government fines are absorbed as business costs. Even MLMs that were shut down following prosecution quickly resuscitated in virtually identical form under new names with the same kingpin recruiters. MLMs are Hydras. In the Herbalife case, therefore, the public interest could only be protected if the FTC identifies and prohibits fundamental elements of the company's "MLM" model that manifestly deceive and cause harm. The necessity to address toxic fundamentals explains why the FTC has taken so long. The FTC has made it nearly impossible for itself to protect the public from MLM deception and harm by declaring that "multi-level marketing" is legal. It did this without establishing a legal definition of MLM and absent any monitoring or industry research to verify MLM's economic impact or prevailing marketing practices. Unlike franchising, MLM is not only legally undefined and real-world unresearched, it is also exempt from any FTC disclosure rules. When fraud is recognized in MLM, as it often is by the FTC, SEC, and state AGs, the FTC laboriously applies its theoretical definition of MLM that is based on distributors profitably retailing products to the general public as the core "business opportunity", i.e., direct selling. It must then test the prosecuted MLM against this theory. This "complex economic analysis" of the offending MLM can take years. The approach diverts attention from FTC acknowledgment of massive consumer losses, rampant deception or from making any fact-based assessment of how MLM actually operates as an "industry". The FTC's definition of the MLM industry, which it presumes is valid and treats as legal, starkly conflicts with Main Street reality. It also, clashes with the definition of MLM espoused by MLM's own official trade group, the Direct Selling Association. The FTC's conflict with the DSA over what MLM is ought to be a wake-up call to the FTC that it is operating on faulty premises. If that were not enough to alert the FTC that its approach is inadequate, a current bill before Congress, HR 5230, introduced and backed by the DSA, effectively outlaws the FTC's current criterion for enforcement purposes. The proposed law would legally permit all recruiting-based rewards to be funded by "reasonable" monthly purchases made only by those inside the MLM marketing plan. MLM's self definition, in conflict with the FTC's definition of MLM, is based primarily on "self-purchasing" by the distributors themselves at non-negotiable contractual pricing, not on retail selling to the general public. The DSA maintains that all MLM distributors are also end-users, a first in the world of distribution. There is, however, one other factor in the Herbalife/MLM plan that must be considered fundamental and primary and that is universally recognizable as a hallmark of fraud and a cause of the financial harm. If Herbalife's plan were stripped of this one factor, its capacity to deceive and harm would be drastically curtailed, apart from anything else the FTC might do for restitution or remedy. This factor has mostly been ignored or overlooked because analysis has been focused on other areas. In MLM pyramid scheme terms, this factor is often called the "pay-to-play" element, but it is better understood as the classic "Spanish Prisoner" trick or the ubiquitous Nigerian Scam. Much of this essay on this pay-to-play factor is excerpted from a letter to the chairperson of the FTC, Edith Ramirez, signed by me as president of Pyramid Scheme Alert, urging the FTC to ban Herbalife's harmful pay-to-play practices. Further explanation is in the essay by attorney Douglas M. Brooks published Jan. 29, 2016, in the Seeking Alpha forum, entitled Multi-Level Marketing: A Modest Proposal. This primary fraud factor and first cause of harm is the classic trick of making a false promise of great riches (wealth beyond your wildest dreams) that requires a ransom payment (product purchases) to receive. In reality, of course, the riches do not exist (see the Herbalife income disclosure and churn rate regarding the truthfulness of its "reward" promise). Concerning Herbalife, much legalistic attention has been focused on where HLFultimately get its money that is transferred to recruiters. Does it come mostly from purchases made by those inside the closed recruiting chain, the distributors themselves, or do those distributors get the money from their retail customers in open marketplace retail sales? This is a valid interest for regulators, but the approach steps over the first cause of fraud, revealed in the classic Spanish Prisoner trick. The primary act of fraud is in how the scam induced payments from the victims, not how the victim got the money that was given over to the trickster. What has been hidden in plain sight are Herbalife's means and methods of getting money from consumers in the first place. It is classic Spanish Prisoner. Though the specific means of gaining funds has not been generally addressed, Herbalife's sales success has always been a mystery to financial analysts and sales experts. Sales companies rely on branding, advertising, convenient and efficient distribution, competitive pricing, customer service, or uniqueness or differentiation in products to stimulate sales. Some businesses, over time, can rely on the hard earned loyalty from a stable customer base, augmented by word of mouth to produce growth. Herbalife uses none of these means. Sales force and customer turnover may be as high as 80% a year. There is no "loyal" market and no need for superior "service". Millions of people buy Herbalife products, inexplicably, in spite of the availability of the same types of goods at much lower price. Amazingly, some buy thousands of dollars of Herbalife products without having tried the goods. Herbalife buyers do no comparative shopping! And most incredibly, in order to buy, they sign onerous, restrictive contracts limiting their ability to return goods, criticize the company, negotiate pricing or to earn income from other MLMs. Then, after all that, the vast majority abruptly stops buying in less than a year. The smell of fraud is unmistakable. Almost as fantastic as ransomed aristocrats and deposed Nigerian dictators, Herbalife argues to investors and regulators that these purchases are ordinary consumer transactions. The fantastical offer of "unlimited" rewards that can only be accessed by joining the chain and purchasing product is said to have no effect on nearly all who sign and buy. Purchases are supposedly driven only by love of the high priced, unadvertised, commodity product, or, for some, to resell the products, though this alleged activity is not verified or measured. Herbalife has sometimes argued that purchase quotas can be fulfilled by the downline's purchases, not the recruiters' own, thus making purchasing "voluntary". This is even less convincing than the story about a Nigerian dictator needing my bank account number to place his fortune. The FTC should just ask for evidence of such non-buying recruiters meeting their "volume" quotas. Spanish Prisoner ransom payments were similarly not "required"; however, access to a share of the rewards from the grateful nobleman could not be gained without payments. Buying products (ransom payments) is inextricably linked to accessing the promised Herbalife rewards. The means used by Herbalife to generate "sales" (Spanish Prisoner payments) are the effective purchase requirements, in the form of personal purchase quotas. Therein lies the FTC's opportunity and likelihood of remedial action to identify and regulate the "bright line" of fraud in the Herbalife proposition. The recent federal court order against Vemma confirms effective purchase requirements as a key element of Vemma fraud and supports an FTC ban on Herbalife's pay-to-play scheme. The volume quota that can be met by personal purchasing is what the Vemma court ruling called one of the "features of Defendant's Marketing Program and bonus structure that tie bonuses primarily to recruiting and to the purchase of product principally to stay eligible for those bonuses." At Herbalife, as at Vemma, higher-level qualification for recruiting-based rewards can be gained right at the onset of participation by making a significant product purchase personally, costing hundreds or thousands of dollars. The possibility exists - with the Vemma and Burnlounge federal court rulings serving as the most recent and relevant guidelines - for the FTC to ban theSpanish Prisoner payments from the Herbalife compensation plan as an inherently unfair and deceptive trade practice. Within Herbalife's sales and marketing plan, the FTC can and should prohibit all recruiting-based incentives, quotas or requirements upon individuals that include their personal purchasing, thus taking away Herbalife's means to unfairly and deceptively gain payments based on promises of rewards tied to "endless chain" recruiting, aka Spanish Prisoner rewards. "As Herbalife offers all participants in its marketing plan the opportunity to gain payments that are facially related to unlimited and endless recruiting of new participants into the marketing plan, it may not require purchases or offer financial rewards to participants or impose financial penalties based in any way upon the level of their own personal product purchases that are related to such rewards. Personal purchases also may not be factored, positively or negatively, in the individual participant's own group volume-based rewards that are tied to recruiting new participants. Personal purchase quotas and incentives, when related to participation in the recruiting-based reward plan, constitute unfair and deceptive marketing practices." That Herbalife's and other MLMs' participant purchases are effectively requiredand are tied to future recruiting rewards is obvious. Herbalife's pay plan includes specified initial purchase levels needed to establish various reward positions and periodic purchasing required for maintaining positions. The pay-to-receive recruiting-based rewards are presented as personal purchase quotas, which can be included in the recruiters' "group volume" quotas. The resulting practices of Herbalife participants making personal purchases in order to join the pay plan, prevent losing rewards or to reach higher levels of recruiting-based rewards are well documented. Apart from creating false demand or "conscripted purchasing", Herbalife cannot defend personal purchase quotas in rational and legal business terms. Herbalife provides no protected retail sales territories to any participants and no market support for retail sales activity. To the contrary, Herbalife places extraordinary obstacles against those who would seek to profitably sell its products at retail prices. With its "unlimited expansion" model, financial incentives to recruit other wholesale participants and its inherent mandate to increase the total number of participants in all areas without regard for market saturation, Herbalife fatally dilutes and undercuts a profitable retail selling opportunity for all existing participants. A personal purchase quota or the option to add personal purchases for authorization or maintenance of recruiting-based reward status, therefore, cannot be defended on retail (direct selling) business terms. It is obviously a device for inducing purchases (payments) to sustain the recruiting-based reward plan. Personal purchasing quotas fund the recruiting rewards. While preventing fraud, this proposed restriction would not interfere with anylegitimate business that Herbalife distributors might transact. An FTC restriction of personal purchase quotas, i.e., Spanish Prisoner Ransom Payments, does not, for example, inhibit purchasing by Herbalife's participants for personal retail selling, i.e., direct selling, or for any other business or personal purpose, including "self-consumption" or giving products to friends and relatives. Why they purchased or what they do with the products afterward is not monitored or verified in any event. By itself, the restriction would also not prevent activities related to recruiting other participants into a personally organized or extended marketing "chain" on which rewards are based upon aggregate purchases. Uplines could still implore downliners to buy, however, the downliners' personal purchases, apart from helping the upline recruiter and Herbalife itself, would not benefit the buyer in any way relevant to the reward plan, except for retailing purposes. The restriction would have the enormous consumer benefit of preventing Herbalife from inducing or effectively requiring inventory purchases for joining its devious and harmful recruiting-based reward plan (ransom reward). It would disallow and make it impossible for personal purchasing to be used to maintain a position in the plan or to increase rewards. It would prevent financial penalties (reduction in rank, lowering of commissions) related to the recruiting-based rewards for not making personal purchases. A participant's personal purchasing could not be part of that individual's own group volume that is a determinant of recruiting-based reward status. Though the FTC has historically maintained that the MLM participants' "retail" sales, not the MLM participants' internal wholesale purchases, must be the main and ultimate funding source of recruiting-related rewards, no regulatory means exist for ensuring that recruiting-related rewards are actually obtained from purchases ultimately made by consumers who are not in the marketing plan. Banning the unfair and indefensible practice of allowing or requiring personal purchases to fulfill quotas that are tied to the recruiting-based reward plan will prevent the means of "inventory loading" or continuous pay-to-play policies that induce mounting victim payments. Breaking the link between personal purchasing induced by quotas, incentives and penalties and recruiting-related rewards reduces the need for verifying or measuring retail sales that might or might not follow purchases. A clearly stated prohibition of personal purchase quotas tied to recruiting-related rewards will serve as an immediate, long-term and unequivocal deterrent. By ending Herbalife's policy of personal quota purchasing, the FTC would free Herbalife to participate in the open market where value is fairly and openly determined and sales are based on market demand. Herbalife could still claim it has an enormous fortune waiting for those who sell its products. But no one would ever again have to pay a ransom to gain access to those fabled rewards. 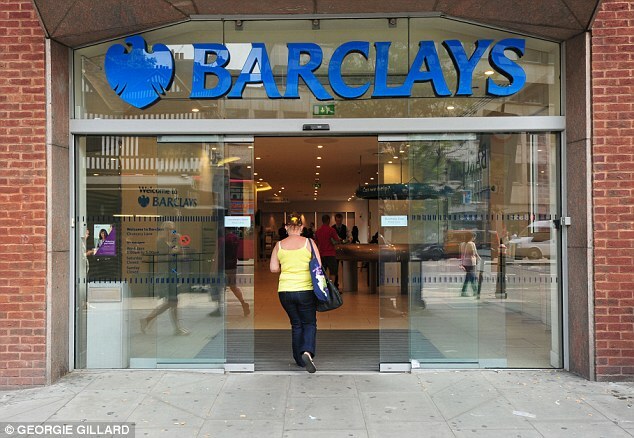 'FLP' infiltrates Barclays -The Daily Mail starts to Investigate the 'MLM' lie. Why IS Barclays letting pushy salesmen flog £100 diet pills in its branches? Salesmen from controversial health schemes are setting up stalls in Barclays branches and pouncing on people waiting to be served. Customers are being flogged expensive face creams and diet pills — and asked to become part-time sales staff themselves. Most of the companies involved are U.S.-owned and notorious for pushy sales tactics. They have hijacked a Barclays community programme that was designed to give small local businesses a cost-free way of reaching High Street shoppers. The revelation has sparked concern that elderly customers who depend on branches are at risk of being targeted. Witnesses say salesmen are telling elderly customers that the products, which include £100 diet pills, energy bars and £30 herb-infused face creams, can ease ailments such as arthritis. Stay-at-home mothers are being told they can make an 'easy' £300 a month if they sign up to become saleswomen. Yet most of those lured in will be unaware of the dubious health benefits of the products. And those recruited as agents can face enormous pressure to sell — and stinging costs if they fail to hit monthly targets. 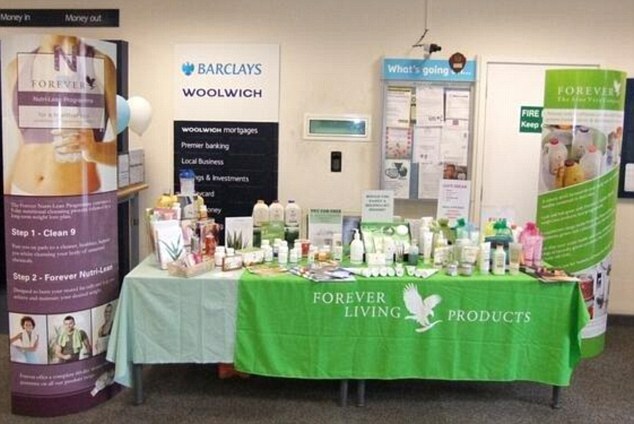 Forever Living, Arbonne and Herbalife all appear to be regular fixtures in Barclays branches. They are dubbed 'multi-level marketing schemes' because they work by signing up customers to flog expensive cosmetics or health products to friends, family and neighbours. Typically, recruits work as and when they want — as they're technically self-employed — to supplement household income. Often they're promised promotions and extra cash if they regularly sign up new sellers. Critics have accused the companies of having a similar selling style to pyramid schemes — illegal businesses that promise staff rewards for enrolling others, as opposed to offering income for selling products. Barclays set up its scheme allowing small businesses to operate pop-up stands in its branches in 2014. You can apply to a local branch to put up a stall and the bank makes no money from the arrangement. However, Money Mail has discovered that instead of helping local entrepreneurs, the spaces have been seized on by big overseas businesses. 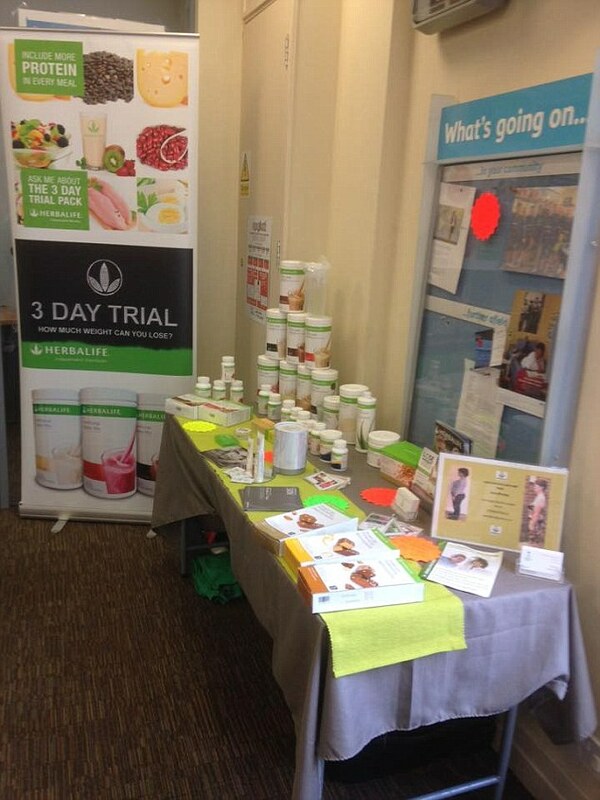 Representatives of Forever Living have been spotted in Barclays in Horley, Redhill, York, Stafford and Leominster. The Arizona-based firm, which raked in £120 million in Britain last year, sells beauty products and health foods containing aloe vera or beeswax. Items offered in Barclays include a £109 nine-day diet kit. The firm's 40,000 UK sales reps, known as Forever Business Owners, are charged £199.75 for a box of products when they sign up. Recruits say they're encouraged by senior distributors to push items on Facebook and lure in friends as it can be costly if they fail to meet monthly targets. Laura Jones, 39, a former distributor in the North-West, was left £1,000 out of pocket after six months working for Forever Living. The new mother, who'd been suffering post-natal depression, was introduced to the company by a friend. She says she was told she could earn £300 a month for five hours' work a week. But she was unable to sell enough. She says she was forced to buy the products herself to meet her manager's expectations. She says she was also told to target new mothers and online forums. Forever Living says it does not enforce sales targets. Forever Living was criticised by the Advertising Standards Authority watchdog last year for false claims about the health benefits of its products. Herbalife sales staff put up huge signs in branches offering 'extra cash and flexible hours' to those who sign up. A sales rep who claims to tout regularly for cosmetics firm Arbonne in Barclays says long bank queues make it easy to sell. 'I'm like the entertainment to the customers waiting — a bit like in Disneyland,' the woman, who asked not to be named, told Money Mail. Arbonne reps are also encouraged to recruit more staff — called in jargon 'growing their downline'. Distributors in banks are offering a pot of face cream, which is listed at £30 online, and face powder at £31. We found examples of Herbalife stalls in Kendal, Leamington Spa and Richmond, North Yorkshire. Salesmen for the Los Angeles-based firm, whose sales increased by $12.6 million (£8.9 million) in Britain in 2014, were flogging jars of chocolate weight-loss powder costing £28.40 online. U.S. watchdog the Federal Trade Commission is investigating allegations that — in the style of pyramid selling — Herbalife's profits come mainly from signing up more distributors, rather than product sales. The firm says distributors are not rewarded purely for recruiting staff but receive a royalty from any products these recruits sell. A contributor to website Mumsnet overheard a Forever Living seller in Barclays telling an elderly man that its aloe vera gel could help his arthritis. A Forever Living spokesman says the firm is not a pyramid scheme and is legal. It says it 'rewards endeavour' but those who do not thrive can leave and get their money back. 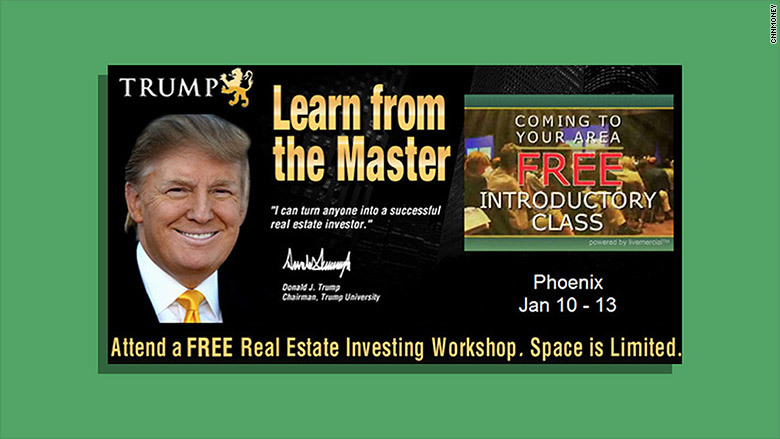 'Trump University' - a criminal racket using cult-style tactics. Court documents have revealed co-ordinated devious techniques of persuasion deployed by employees at Donald Trump's (now defunct) bogus 'Investment School' against ill-informed and vulnerable individuals. Robert Guillo, received an impressive-looking piece of paper in exchange for $34 995. In response, Trump steadfastly pretends that the majority of his customers (98%) were satisfied. He is evidently secure in the knowledge that the majority of fraud victims always remain silent in defence of their egos. In a separate civil lawsuit in New York, Attorney General, Eric Schneiderman has alleged that 'Trump University' used deceptive practices and misled students about the support they would get, but Mr Trump has again flatly denied any wrongdoing. A judge has already said the $40m action in New York should proceed to trial, but Mr Trump is appealing this ruling and has attacked Schneiderman as politically motivated. 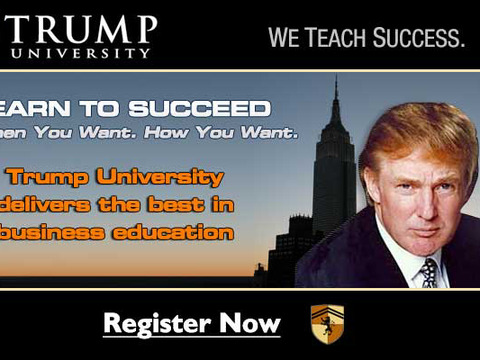 The so-called 'Trump University' was instigated in 2005 as a commercial enterprise under the Trump brand, peddling so-called 'courses in entrepreneurship.' However, the real extent of 'University Chairman' Mr Trump's involvement is one of the key points at issue. Until it closed in 2010, ten thousands individuals are known to have given their money to the so-called 'Trump University' and an estimated total of $40 millions was collected. The released documents include so-called 'playbooks' for employees which explain how to 'close the deal' and trick victims into buying further so-called 'business seminars' at up to $34 995 (£24 288). The so-called 'playbooks' also contained precisely-worded scripts for 'Trump University' recruiters to fob off reporters. They were instructed exactly how to dress and run 'Trump University' events, as well as how to identify victims who had access to capital assets. The unsealed files included depositions from former 'Trump University' executives describing how the fraud functioned. Former recruiter, Ronald Schnackenberg wrote that he resigned in 2007, because the program used 'misleading, fraudulent and dishonest' tactics. Trump Bronze Elite ($9,995), Trump Silver Elite ($19,495), or Trump Gold Elite ($34,995). Extensive testimony from former 'Trump University' executives begins to uncover Mr Trump's real level of guilt. Michael Sexton, ex 'Trump University President,' said in a 2012 deposition, that Mr Trump offered 'very good and substantive input' to the program's marketing materials.